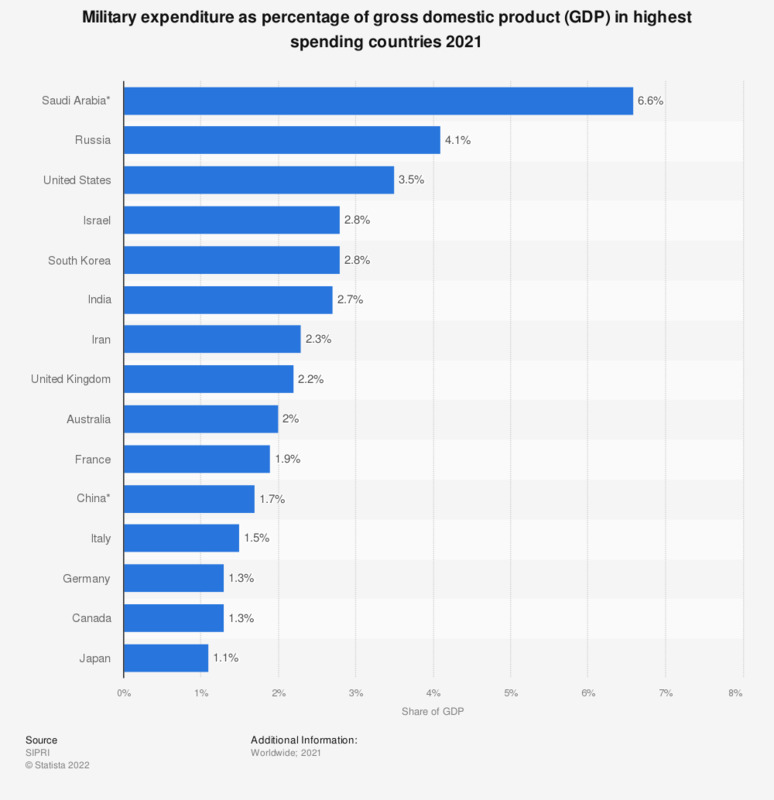 This statistics shows military spending in selected countries as a percentage of their respective gross domestic product. In 2017, military expenditure of the U.S.A. was estimated at 3.1 percent of nation's total gross domestic product. A ranking of the countries with the highest military expenditures can be accessed here. Everything On "Italian Armed Forces" in One Document: Edited and Divided into Handy Chapters. Including Detailed References. What are your feelings regarding the increasing economic and military power of China? Should television shows have more characters that represent military members?